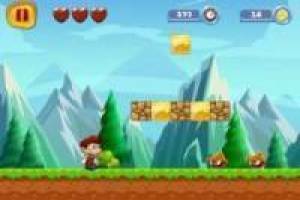 Live an exciting adventure in the purest Mario Bros style and get help our protagonist to overcome all these levels that lies ahead. You will have to finish with the enemies that you are finding jumping over them and go collecting the coins that there are all the way. Use the arrow keys to move and the space bar to jump. You can find mushrooms and flowers that will give you an extra life. In each level you will have three lives which you must keep if you want to finish it successfully. If you die, you will start again but the progress will be saved, you will not find the enemies that you have killed before. 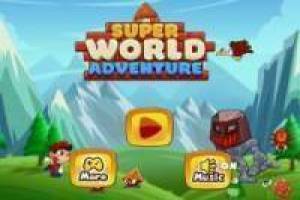 It reaches the great flag and exceeds the Super World Adventure levels. 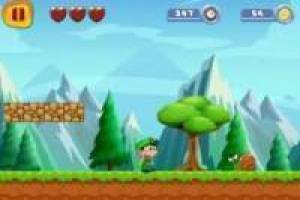 Enjoy the game Super World Adventure, it's free, it's one of our Mario bros games we've selected.